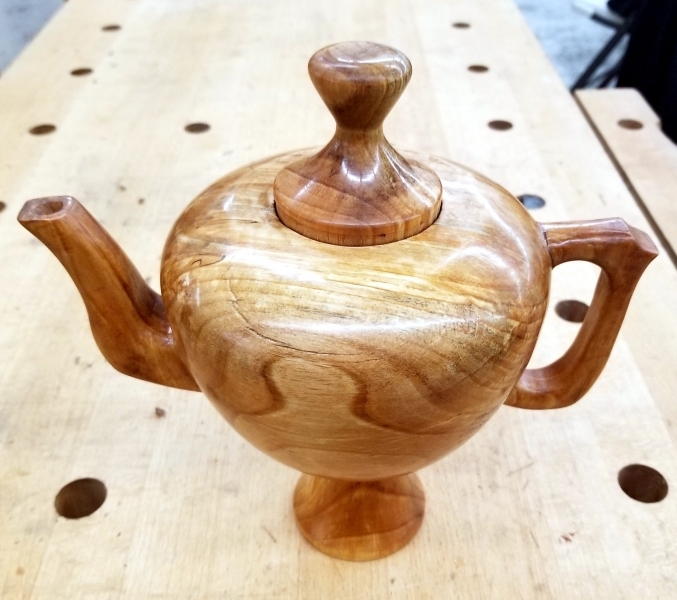 Club Member Turnings: click any thumbnail picture to see larger image. WANT TO JOIN INW? : EASY !!! Go to the Store and Dues Page, scroll down to New Membership and securely pay on line. You will receive an email with details on member sign on information within several days. All The News That's Fit to Turn ! Please see our Links Page for sources of tools, supplies, and other ideas vital to woodturners. Constantly being updated based on member recommendations ! BIG TOOL EXCHANGE !!!! Saturday May 18th at Riverview Shop (see below for Riverview third Saturday information/location). Plan is for you to bring your unwanted/duplicate tools and EXCHANGE them with other members for something you want. Kind of like a gift exchange at Christmas parties! If you want to buy a tool from someone, you can do so by private agreement, but that is not the initial intention. MEMBERS ONLY as this is on Riverview grounds. 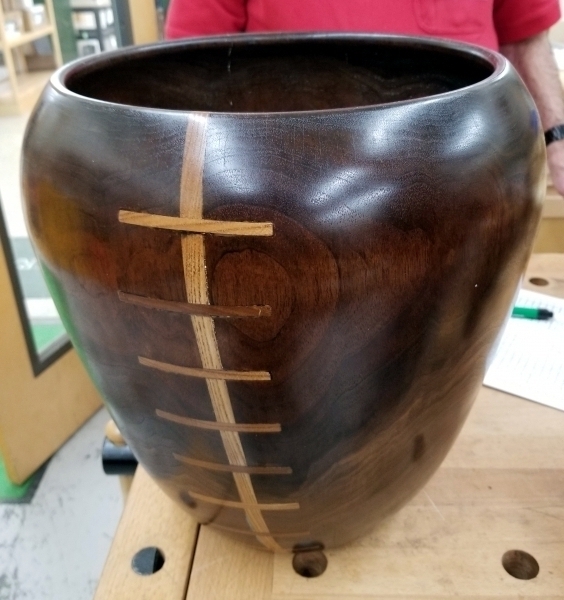 Regular Club Meeting: May 2nd: Dan Chadwick will continue to process with taking the then dried, rough turned bowl and finish turning and sanding to finish-able product. 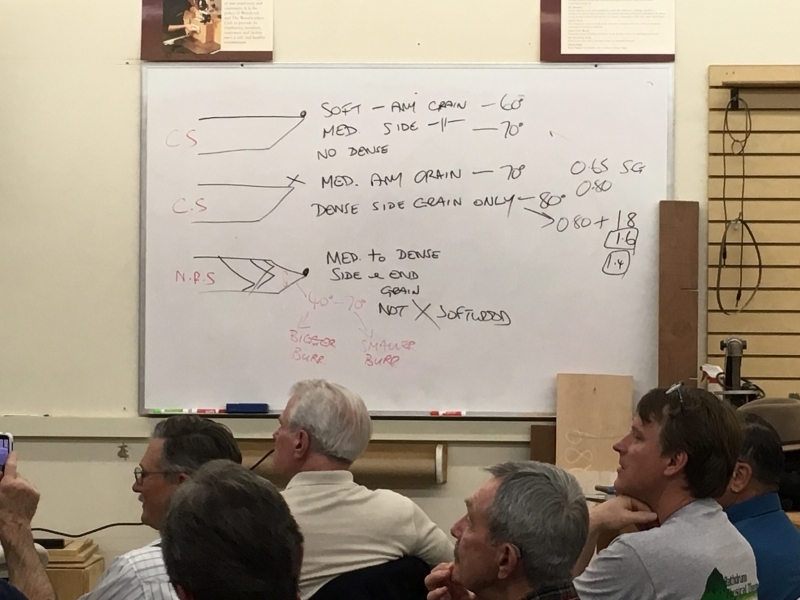 Advanced Scheduling: June 6th: Don Scott will present a two month program on the physics of woodturning and cutting technique understanding and methodology. You WILL learn some gems ! Board Meeting: Board meetings are held on the third Thursday of each month at 11:30 AM at Frankie Doodles just East of Division on 3rd Ave. Everyone is welcome to attend. Next meeting April 18th. Third Saturday at Riverview: Riverview Retirement Community Workshop. An INW members only event. 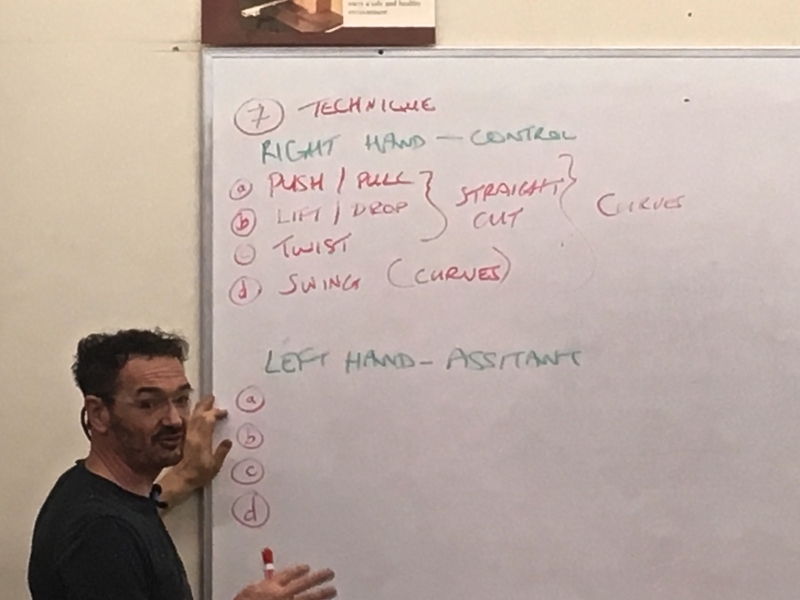 Novice turners welcome ! Coordinators: Ron Gooley and Tommy John. Always check this web site for any other announcements regarding Riverview sessions. Location: 1711 E. Ross Ct. -- 9:00 AM start. Bring your own wood and tools. 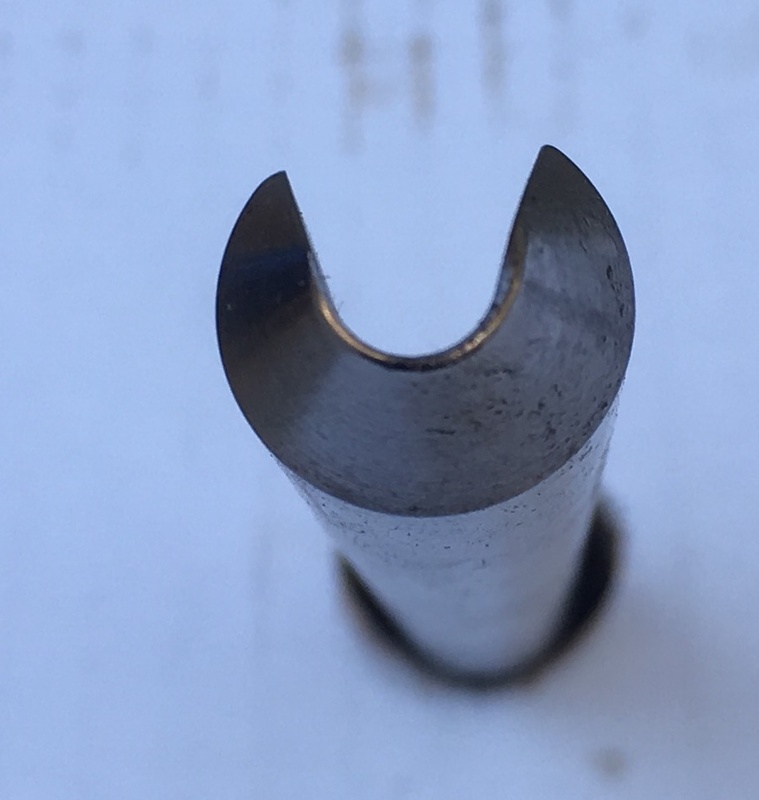 If you have a problem piece or tool, this is a good time to get help with it. Fantastic opportunity for new turners to get expert mentoring! 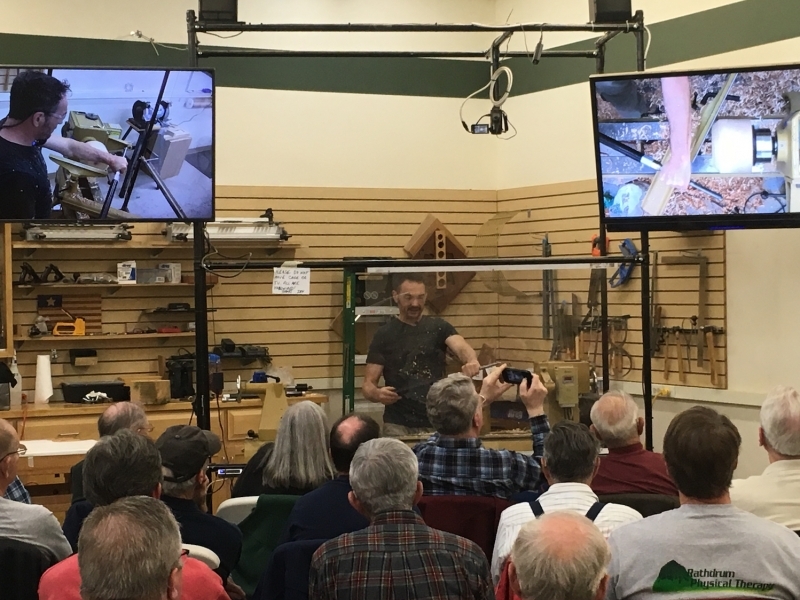 LEND A LATHE PROGRAM UP AND RUNNING ! 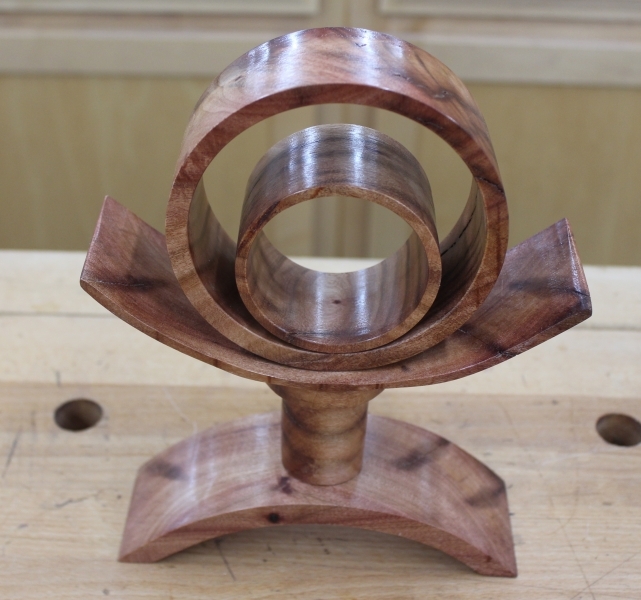 The Lend A Lathe Program is designed primarily for new turners getting a start on their woodturning experience. 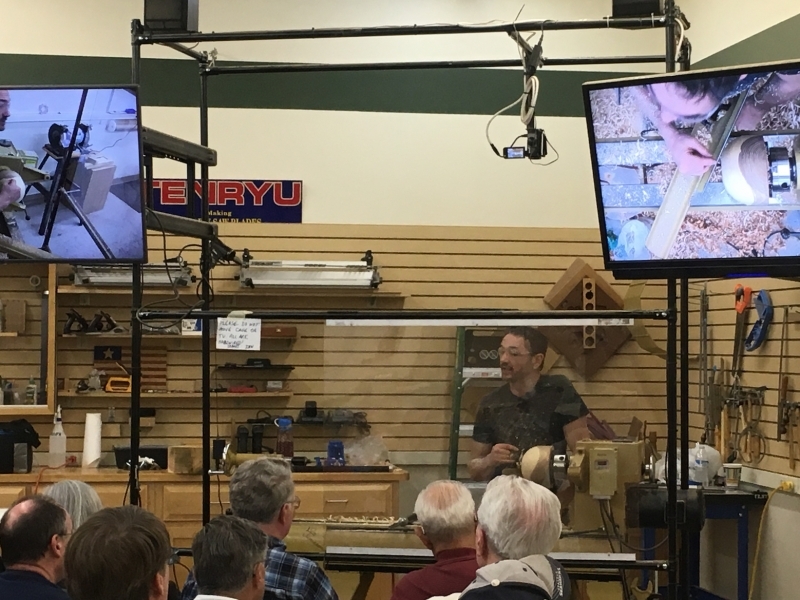 We hope that the availability of a loaner lathe will initiate a passion and “addiction” to woodturning that many of us feel who have been turning for years. 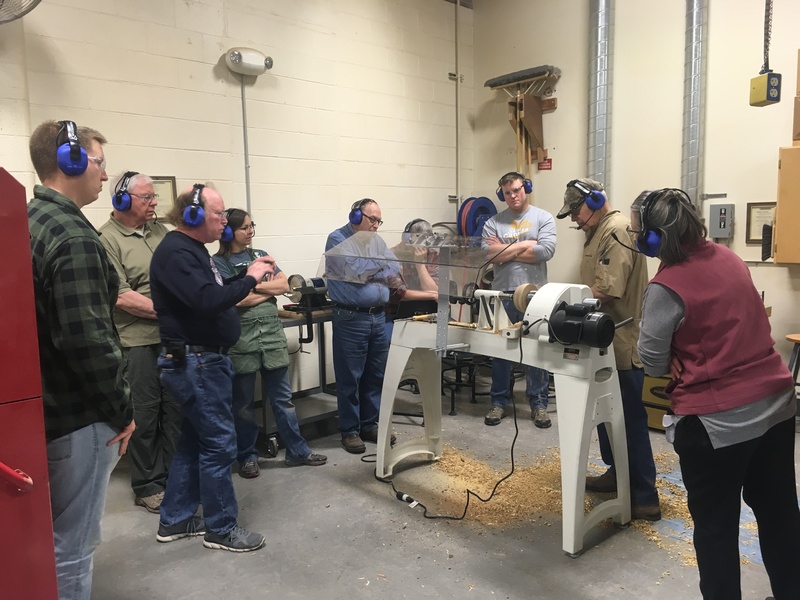 For turners that are not new to turning, the Lend a Lathe Program may help tide them over till commitment, financial resources, or adequate location for a larger lathe become available to them and they can own a lathe of their choosing. Currently two lathes, a Rikon Midi and a Jet Midi, will be in the program, with an initial 3 month loan period. Applications and supporting materials will be available at the regular meetings. Please contact LALP Director, Damon at bruadair@gmail.com to submit your application. 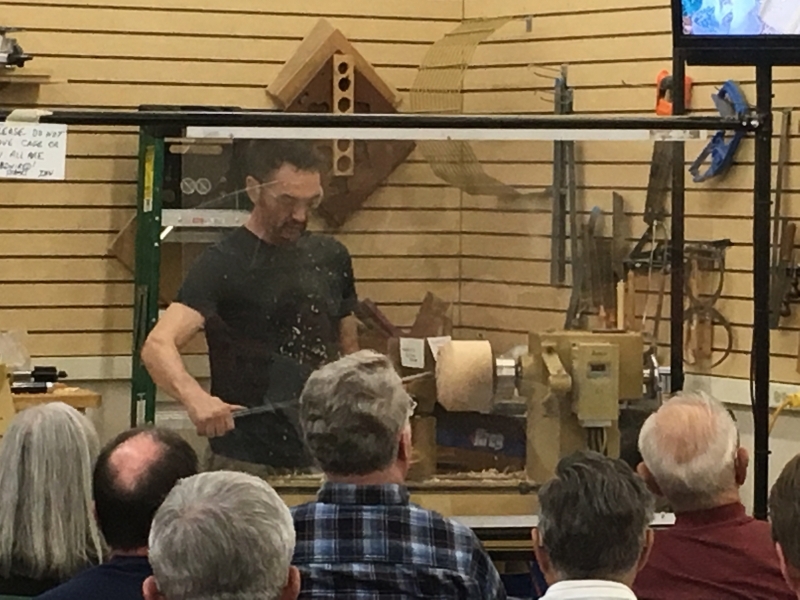 INW is now doing once a month (on a Saturday) demonstrations and mentoring at FAFB. 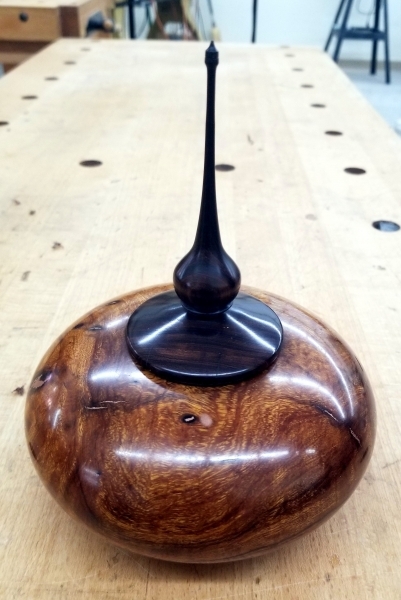 They have a great woodshop at Fairchild and we are privileged to be able to help our active and retired servicemen with their wood turning skills. To participate please talk to Damon or Doug. The Shop at FAFB: pretty small ! INW has also renewed its support of the VetsGarage in its new location (3915 E. Francis Ave., #C10, Spokane, WA 99217, near Francis and Freya). 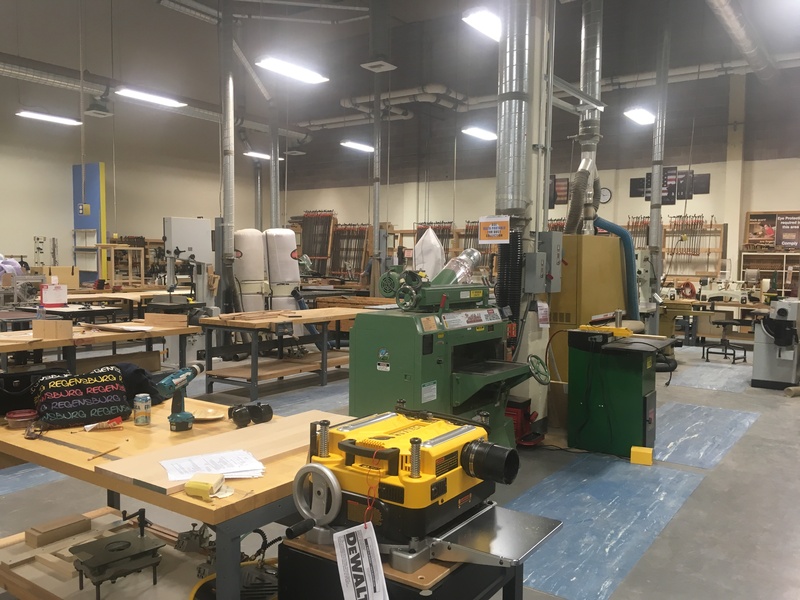 We have sufficient lathes there but we can use donations of any tools or jigs you are not using or have in excess. Donations can be fair market valued and a receipt can be issued for your possible tax deductible donation. Please bring any donations to Carl or Doug at meetings or send us an email and we will make arrangements with you. Woodcutting session(s): All MEMBERS WELCOME. SOME CUT, SOME GATHER AND HELP! If you know of any hardwood trees available, let a Board member know. The Board has decided to have a fee of $20 per cutting session, per member taking wood from cutting. This is JUST to cover costs ! We have also assigned a Safety Officer to each cutting and the number of chain saws in use will be limited to the quantity and lay out of the cutting location. 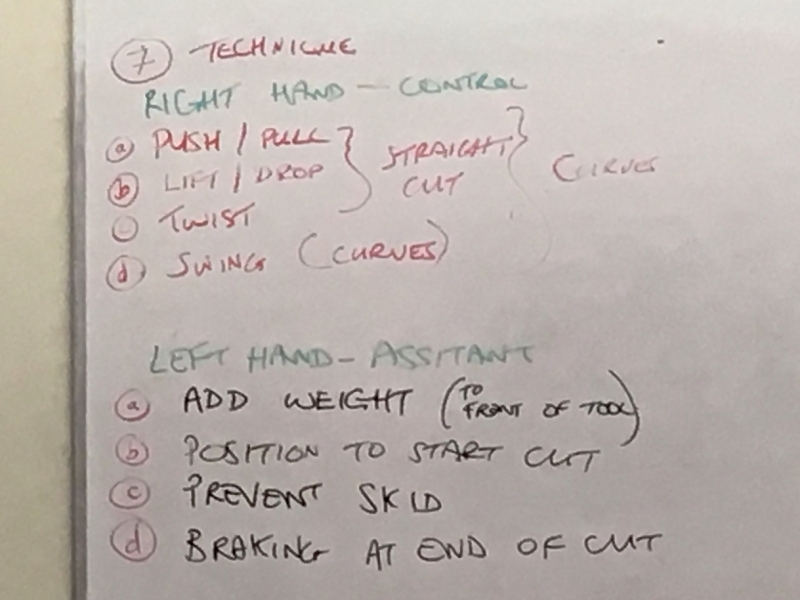 Full details of any cutting session will be sent by email of details to all members. CURRENTLY we have a pretty good load of elm, some chestnut, with some locust. We will be trying to figure out if weather will allow a cutting in January, or if we will wait till early Spring to do our first cutting session of 2019. Stay tuned ! FINAL SALE PRICING ! 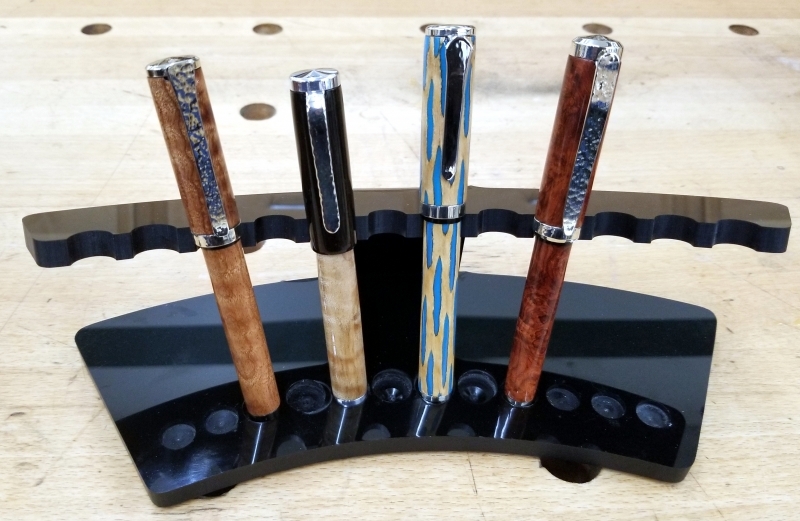 A small number of gouges remain and we are reducing our prices to bare bones minimum to sell off remaining stock. See the Store and Dues Page for details. 7/8" (few left) gouges are 16" long and have 3/4" tang for mounting. These are super nice, heavy duty tools. 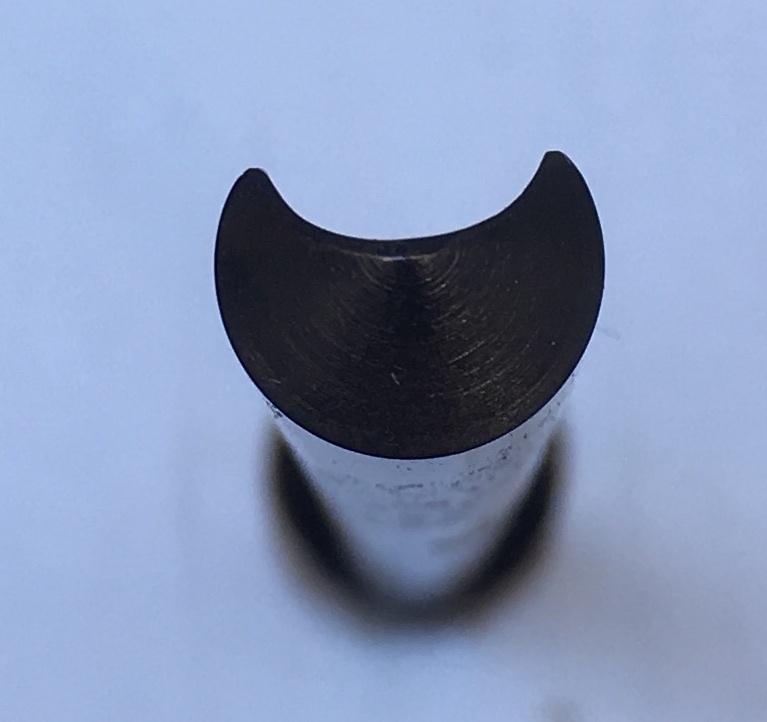 Can be used as excellent roughing gouges, even for small pieces, or bowl gouges for larger pieces. 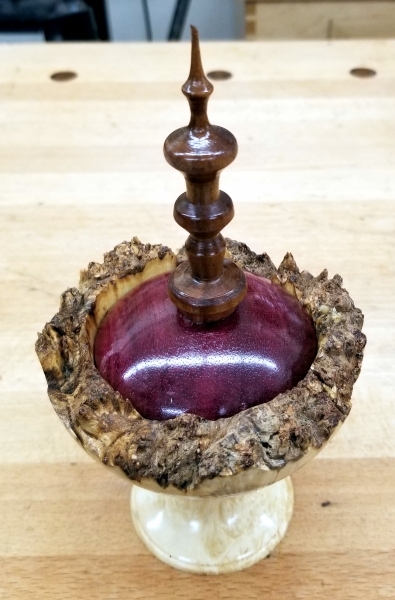 OK, you mini-lathe folks: You want to see crazy ? Well this is crazy ! Worth a look see! 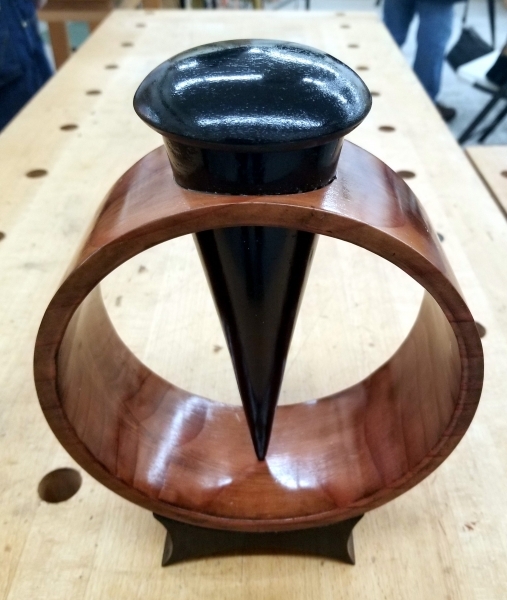 An article on VACUUM CHUCK SET UP is available on the Member's Resources page. Need something? Go to the Links page as it may have a great source for you listed, with many suppliers that our members have experience with. If you have a recommendation to list, please let us know. Renewal annual dues are due at the beginning of January. 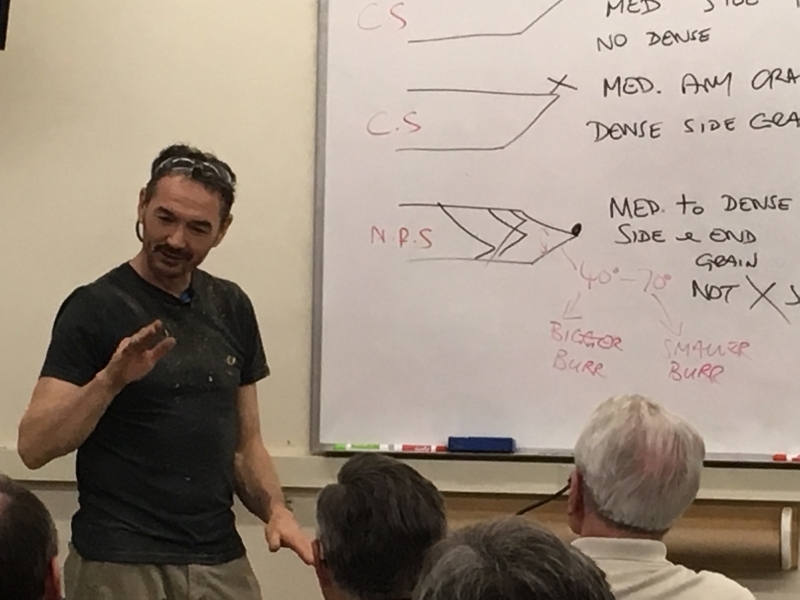 2019 INW Dues are $35.00 (single or family). Renewal at any time during the year remains $35.00. NEW memberships are prorated by the amount of the year remaining with a minimum in June through December of $25.00. Pay on line on the Dues and Store page, or at meetings. There is also a STORE "item" for donations, in which you can donate in multiples of $10.00 amounts. All donations are fully tax deductible and a receipt can be provided if requested. Dues and donations are a way we can continue to provide and increase YOUR clubs services and quality ! MEMBERS UPDATE YOUR PAGE PROFILES: after you sign in, please go to "MY ACCOUNT" and then to "MY PROFILE" and fill in your profile information. You can make the information available to other members or hidden. You can add an avatar (picture of yourself or your dog) and personal statements on turning/artist' s biography, etc. 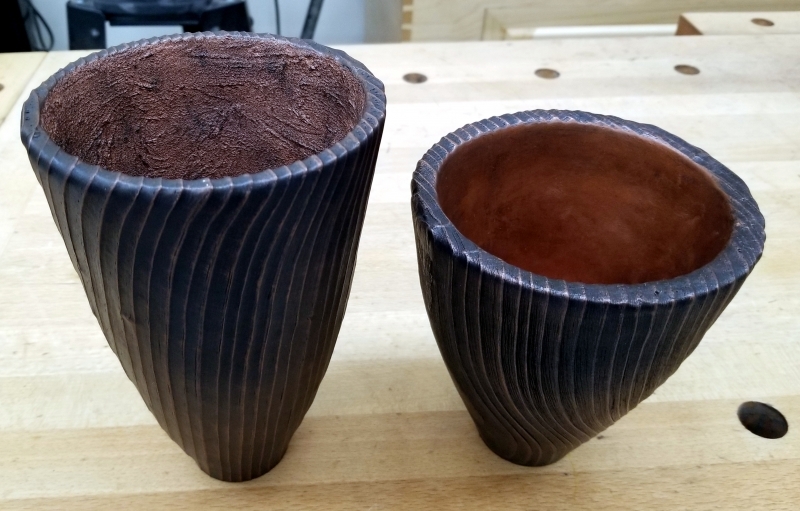 Upload pictures of your work to your page ! Take a plunge and get-er-done ! Let us know if you have problems and we will help you out . 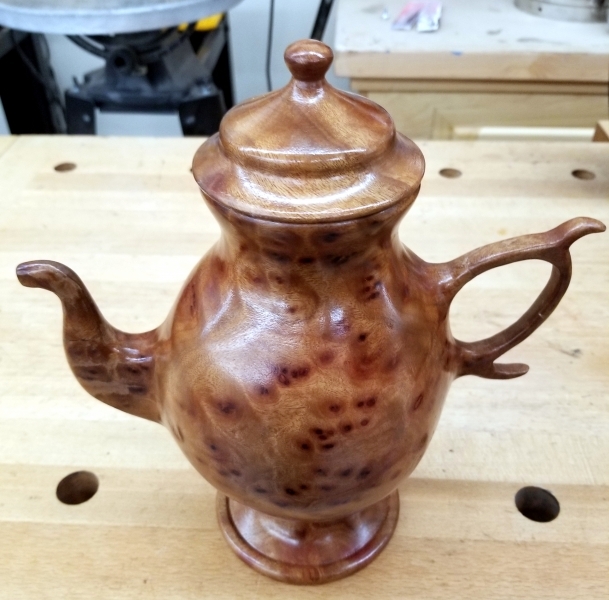 Turning of the Month: If you have a picture of one of your pieces that you would like to submit for consideration as Turning of the Month, please send it on to inwwoodturners@gmail.com. We will try to change these out at least monthly. Damon's piece of blue pine as a wall hanging. About 12" diameter. 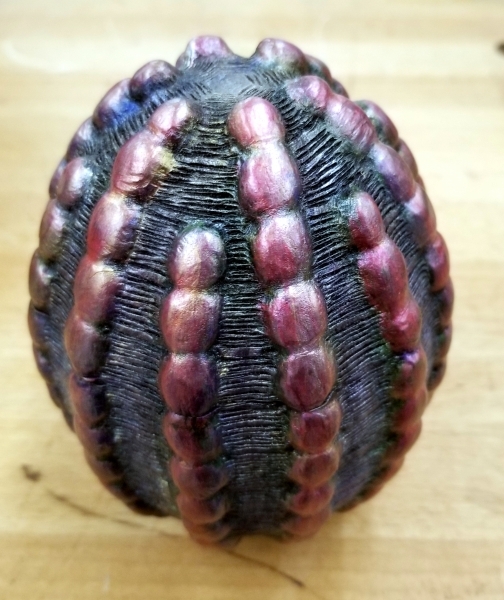 Burnt, textured, painted, stained. Who says pine don't turn well ! OUR VIDEO LIBRARY and book library is available for check out at our monthly meetings. Each video or book has a sign out card. We will make them available for self help, sign out and sign back in when done. The library materials are great to borrow and watch ! Tree Falls: If anyone has, or knows of some good turning trees that are down and could be harvested, let any Board member know and we will look into it for a Club Cutting. Members need not subscribe. They will receive notice of the new newsletter's availability (on the web site) by email automatically. Non-members may subscribe and receive the newsletter itself by email. 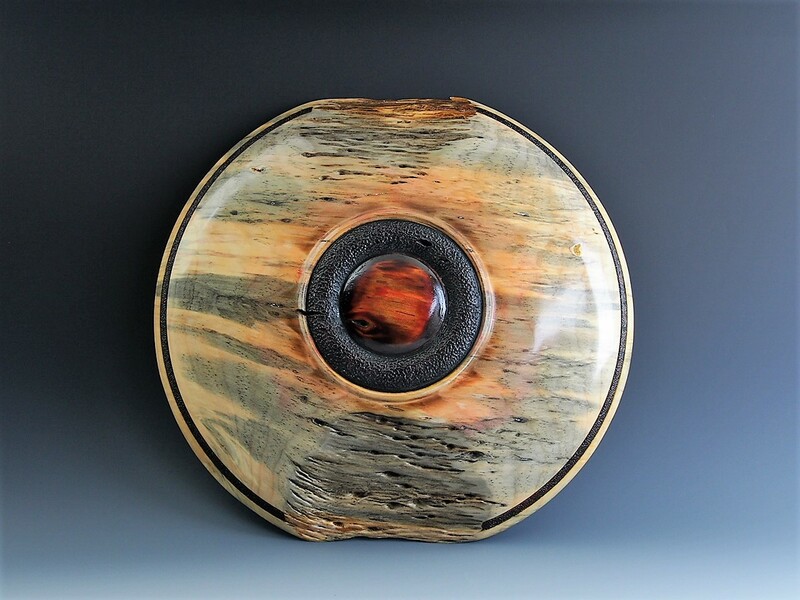 Want to help the Inland Northwest Woodturners in our mission to educate and encourage woodturning? PLEASE see the WEB STORE PAGE to make donations in multiples of $10 by on line credit card. Cash or checks for donations to Treasurer Carl.